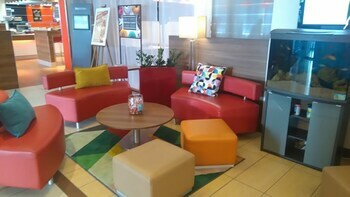 A stay at ibis Warszawa Reduta places you in the heart of Warsaw, convenient to Euro Centrum and Lazienki Park. This hotel is close to Royal Castle and Old Town Square. Make yourself at home in one of the 170 air-conditioned guestrooms. Complimentary wireless Internet access is available to keep you connected. Private bathrooms with showers feature complimentary toiletries and hair dryers. Conveniences include phones, as well as desks and complimentary bottled water. Featured amenities include a 24-hour front desk, multilingual staff, and luggage storage. This hotel has 3 meeting rooms available for events. Self parking (subject to charges) is available onsite. 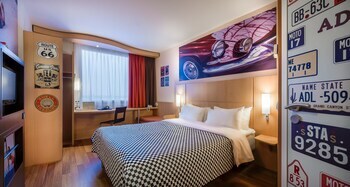 Ibis Warszawa Reduta is an ideal Warsaw lodging choice for your trip to Poland. 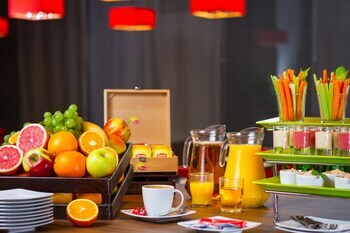 With numerous amenities for guests such as 24 hour front desk, parking - self, laundry, you will wake up at Ibis Warszawa Reduta feeling excited every day for your time in Warsaw. Don’t let this amazing reservation opportunity pass you by, book your stay at Ibis Warszawa Reduta today to make the most of your time in Warsaw, Poland.